Attach the retro baseball pop prop & snap a selfie on the diamond with your team. 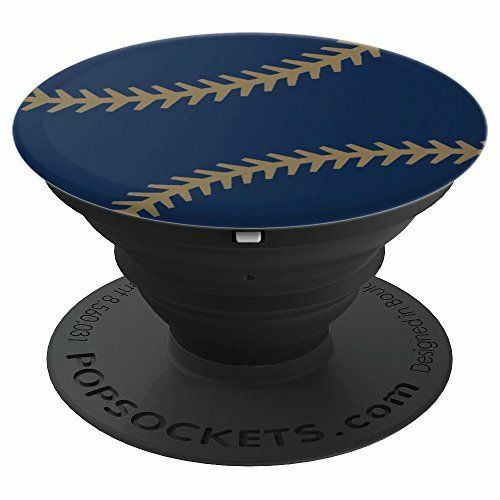 This is the ideal Birthday gift for anyone who loves playing baseball, making memories & living life to the fullest in Milwaukee by your favorite trendy lifestyle brand! Be ready for the perfect summer baseball games at the stadium with matching grips for the squad! Your phone or tablet will look great & cute with the cool blue color for you to add to your trendy novelty phone grip collection for 2018.